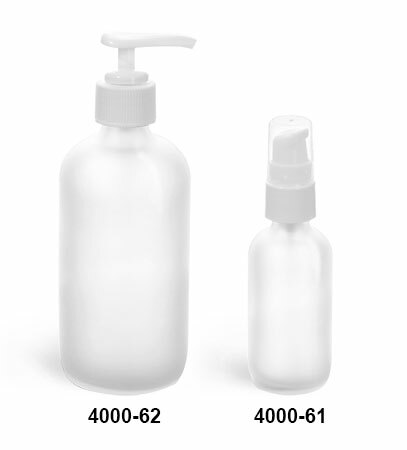 The frosted glass boston round bottles with white pumps come in two sizes and will add class to any product. 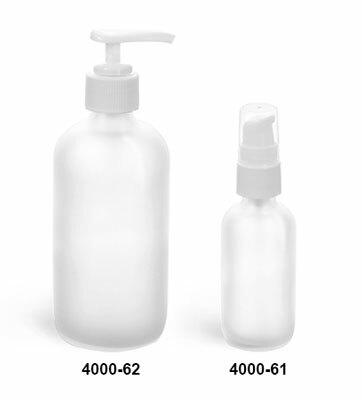 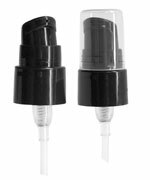 The 8 oz frosted glass bottles come with a white lotion pump that dispenses 0.5 ml of product per stroke, while the 2 oz size includes white treatment pumps that dispense 190 MCL of product per stroke. 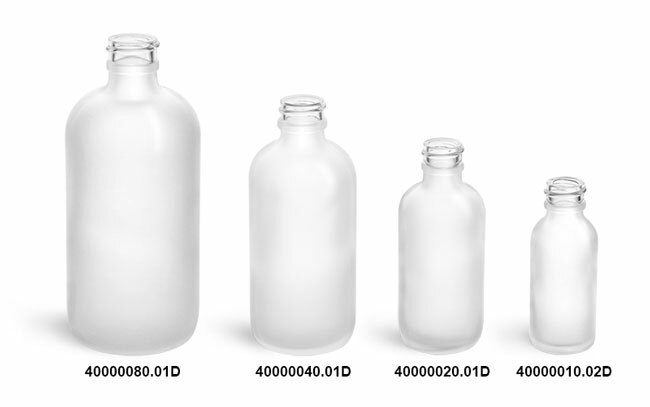 To purchase these frosted glass boston round bottles at the best possible price buy them in bulk quantities at wholesale prices. 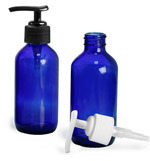 Be sure to choose 'Add-Ons' to find corresponding caps.